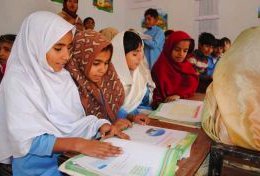 Dubai Cares works to improve children’s access to primary education in developing countries. The organization has implemented primary education programs in 39 countries around the world. Examples of their interventions include renovating classrooms and schools, improving water, sanitation and hygiene in schools, providing school feeding, teacher training, curriculum development. Dubai Cares accepts donations.